Single use Disrupter perfect for Rapid deployment / crisis situations. Single use Disrupter perfect for Rapid deployment / crisis situations. No heavy equipment, just a few different loads and an igniter or 9V battery in a pinch. Can be used with an optional stop ring for placement in Robots or holders. Inexpensive alternative to dearmers. Five standard models Produced, for various targets / situations to ensure proper disruption. WARNING! 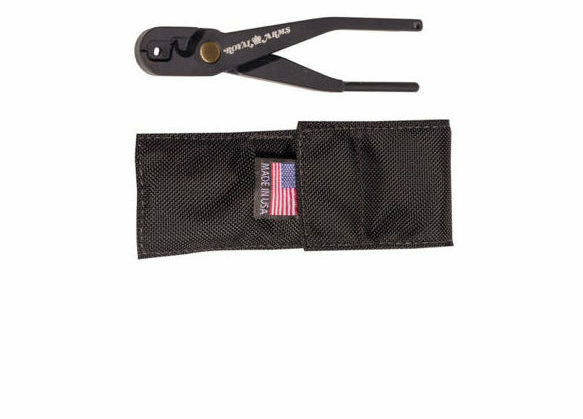 Designed for Single Use by certified EOD technicians only. Do not reload! Stand clear of the disrupter when firing, as disrupter may become a projectile if not properly secured. Misuse or failure to follow instructions will void all warranty. Firing this round acknowledges proper use and certification as an EOD technician and holds Royal arms International not liable for any situation as a result from firing this round.